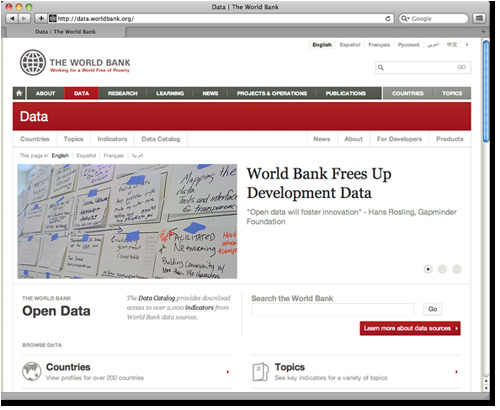 Yesterday (April 20, 2010) the World Bank reveiled that it will offer free access to a huge amount of development statistics. This bold and longly awaited step to liberate the data gives students, researchers, designers, journalists and organizations access to important statistics. At the same time the World Bank launches a brand new web site: data.worldbank.org that will make it easier to find and use the statistics you want. World Bank President Robert B. Zoellick presented the new policy in a video where he also announced that the World Bank soon will launch an “apps for development competition”, challenging the developers community to develop the best tools for better understanding of development statistics. Hurray! Best news this year! This is great news! I needed this. Thanks.